Have you ever wondered how to make money from home? I am sure you must have. More than 50% of the people I come across in my daily life, online or offline are side-hustlers. In fact, you would be surprised to know that, of that 50% many of them have blogging as a side job or side hustle. I have a million reasons, but today I will share my experiences as a part-time blogger. I have been blogging for almost two years now. I promise I am not going to be biased about it. In these two years, I have seen a lot of things when it comes to blogging. If you are someone who wants to make money from home, you would want to read this post. I started this blog about two years ago. I wanted it to be a go-to resource for people in my niche to find work-at-home jobs, side hustles, and money tips. I was a big bundle of nerves when I first made the blog live. It was too overwhelming for me. Though I have been working from home in a remote job for almost nine years, this blogging thing was too new for me. But I wanted to help everyone who wants to achieve a steady and good income potential by working from home. Whether it was a home-based business or a side hustle or a full-time remote job, I was determined to help them find the right options. And right after the 2nd month of starting my blog, I started earning money from it. It slowly grew to a point where I was making a full-time income from my blog. My side hustle was making money. 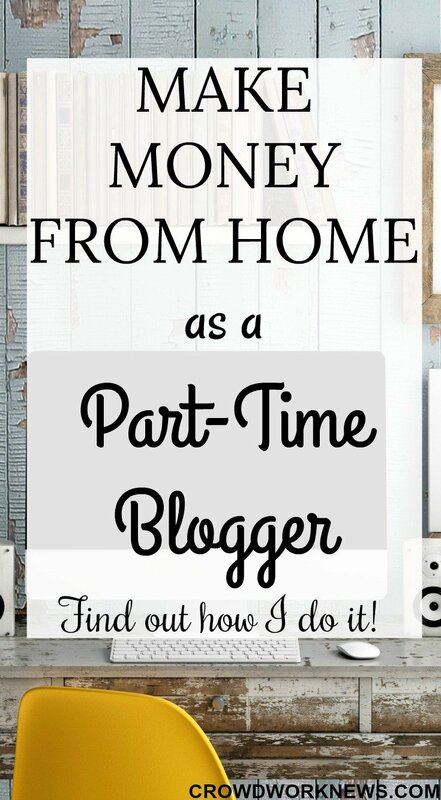 Now I will share why and how to make money from home as a part-time blogger. There is no doubt about that. There were many times when I had to attend to family emergencies without having to look at my work for a week. And all that time, my blog was working for me. It was making money for me while I was away taking care of more important things. For me, flexibility is everything when it comes to remote work. You have complete control of your work when it comes to blogging. You can take a day or a week off, but things run almost the same in blogging. Keep in mind when you are just starting out, things might need more attention, but as the time passes by and you work on more money-making strategies, it can be a more hands-off kind of job for you. This is the best perk of being a blogger. It does not matter whether you are sitting on the couch at home or enjoying coffee in Starbucks or traveling to another country, you can blog from anywhere. And it has been the biggest blessing for me in many ways. I am a total travel junkie, and we are out of the country a lot. But that never disturbed my blogging work. This gave me a lot of freedom to pursue the things I love like traveling and photography. Many of my readers ask me if they can blog if they are in Dubai or South Africa or Philippines. IT DOES NOT MATTER WHERE YOU ARE. 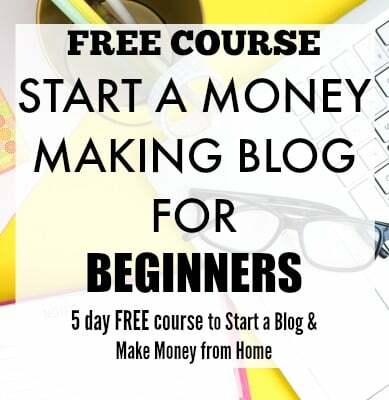 You can always start a blog and make money from it anywhere in the world. It has a greater potential to earn more money than any other part-time job. Ok, I might be little biased with this. I know there are many part-time jobs out there that pay really well. But the perks you get as a blogger along with the HUGE money potential is something unique to blogging. Many of my blogging friends with relatively new blogs earn a good income and some of them even earn meaty five figures. Agreed, it takes a lot of effort and work to get to this point but making more than a full-time income working part-time is kind of a dream. Right?! More than passive, it is residual income. The kind of money you keep getting once the job is done. Always keep in mind blogging is not a get rich quick scheme. You will have to work hard on a lot of things, but a blog has a potential to give you income again and again once your job is done. For example, you work hard to research and write a post, promote it heavily, work on SEO, etc. Once all that is done, if your affiliate marketing strategies are good (more about this later), you will be earning money from that single post again and again. Even in your sleep. It’s true, and it is possible. Why it scores more points as my favorite side hustle than others? 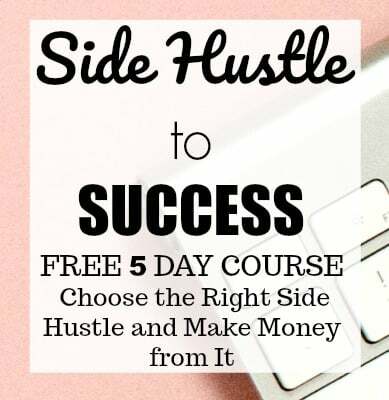 Over the years, I have tried many side hustles that have given me a lot of knowledge about working from home. Of all the things, blogging takes the top position. It is the most satisfying work I have ever done. It lets me connect with many work-at-home enthusiasts like me and help them to find the flexible jobs options they need. No matter what topic you like to blog about, blogging can give you a creative outlet to reach to others like you and help them. There is nothing better than that. Now let’s get into detail about how you can earn money as a part-time blogger. Monetizing a blog is a broad term, and there are many ways to do it. Affiliate Marketing – You promote brands or services you trust and get paid in commissions when a sale or signup happens. For me, this is the best way to monetize a blog. It’s very passive and the best part is, you get to spread the word out about the brands you trust. The money potential with affiliate marketing is skyrocketing. Products – Creating courses or eBooks is another passive way to earn money from a blog. There is a lot of demand for online learning, and it is possible to create courses easily with platforms like Teachable. If you are an expert in your field and want to help others with some niche topics, then start creating courses or eBooks. Services – This is another excellent way to earn money blogging. Your blog can be a great medium to promote and sell your services. You can offer blog consulting, graphic designing, virtual assisting, social media consulting and many more services through your blog. These are just some of the ways you can earn from your blog. There are loads of ways to monetize a blog, and it depends on the niche and the ways that work for you. If you are ready to start a blog, just follow this easy step-by-step tutorial and start the blogging journey. Does blogging work for everyone who aspire to make money from home? Maybe not. I don’t recommend blogging if you are the kind who is looking for a stable and less stressful work. Blogging is a lot of work, at least in the start. There can be a lot of income variations till you reach to a point where you start getting a stable income from blogging. On the other hand, if you crave to have an outlet for your passions and are ready to take the risk, then you have to take a shot at this. All in all, blogging is an excellent choice for part-time work. Whether you are looking for a new side hustle or want to give a voice to your passions, blogging is the way to go.